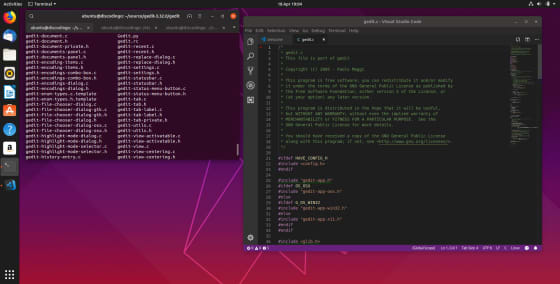 Until Canonical decided to give Ubuntu 19.10 a proper codename, early adopters and testers can now download the daily build ISO images, which are available for Ubuntu Desktop and Ubuntu Server, as well as the official flavors, including Kubuntu, Lubuntu, Xubuntu, Ubuntu MATE, Ubuntu Budgie, and Ubuntu Kylin. On the surface, new versions of Ubuntu aren’t as big as they used to be. 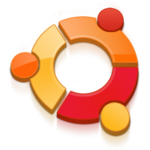 Like in the days before Canonical created its own Unity interface, the Ubuntu experience is now functionally similar to what you get in alternatives such as Fedora and openSUSE. 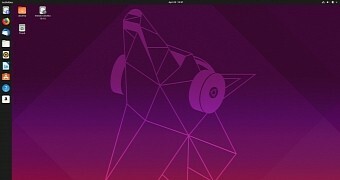 But there are a few big reasons to be eager for what Ubuntu 19.04 “Disco Dingo” has to offer, with some additions demonstrating just how nice it is to have Ubuntu desktop developers spending more time working directly on GNOME. Sophia Sanles-Luksetich: I am a rookie information security consultant. I currently perform bug bounty triage for companies which I am not allowed to name, but let’s just say most folks have heard of these companies. Before I got into information security, I was an IT generalist who dabbled in a bit of programming, Linux and privacy. Ubuntu was actually my first OS. It’s funny to think now that my decision as a 12-year-old could have impacted my career so much ten years later. KC: I must admit that it’s unusual that Ubuntu was your first OS. But that’s great! I use Kubuntu on my work desktop. Did that make you delve into Debian a bit? SSL: Oh cool! I have dabbled with Debian a bit, but not as much as most folks would expect. I think I learned a lot more soft skills using Ubuntu at a young age. Like when I couldn’t download my favorite game as a kid, I spent hours reading error logs, documentation and forums to figure out how to get the game working on my computer. 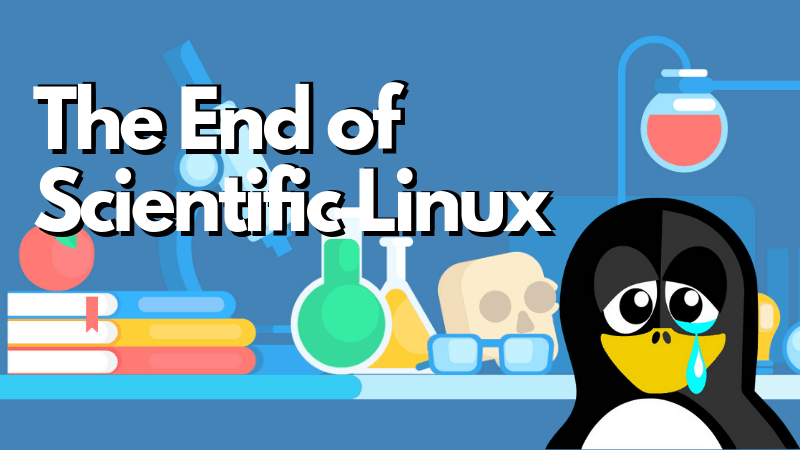 Open Source Software (OSS) is also very modular compared to a lot of closed source software, so learning how software is built on other software was a big help. Now everything is miles down a supply chain that most people can barely scratch the surface of, at least in my opinion. KC: Excellent. 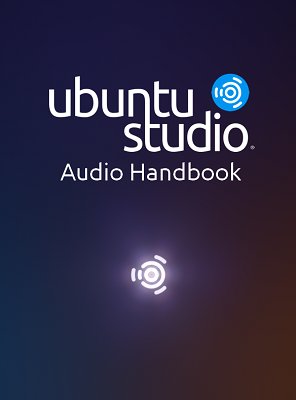 How did you get into Ubuntu computing initially? SSL: We had a family computer that stopped working. Rather than buy a new Windows disk to fix it, I asked around to my friends. Funny enough, one of my friend’s dad worked in information security, and I played board games with him and his son. I asked his son to give me a copy, and he messed it up by downloading it onto the CD rather than doing an image transfer. Lucky for me, I had a bit more a competent IT friend, Rikki, who ripped me a fresh CD. It’s funny, too; she was a lot more like me then, I thought. We both started in theater and ended up getting into computers just because they are resourceful and we were both people who loved the convenience for record keeping. 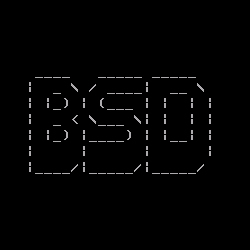 I think what got me into OSS, to begin with, was the idea that I never had to pay for it. I am a cheapskate. I can think of a good chunk of my IT experience that I learned by trying to get something for free. I learned how to torrent, how to not screw up your computer on harmful sites. Always a fun time! SSL: I think if I could give one piece of advice to new cybersecurity folks, I would tell them all to volunteer at conferences and talk to the attendees. You will learn a lot just by talking to people in the field. Oh, and of course, don’t discount soft skills and the fundamentals. Biswas first gathered plant data from Google images, then used TensorFlow (widely-used machine learning framework in the deep learning space) and Open Vino (Intel’s neural network optimisation toolkit) to build an AI model. Once the images and videos of plants were captured the model is used to identify the cause of the disease, possible cures and preventive measures. To run these solutions, Biswas used Intel 7th Gen i5 NUC mini PC. Ma took a digital microscope and connected it to a modestly powerful Ubuntu based laptop with Intel’s Neural Compute Stick connected to it. The entire system cost less than $500. The neural network at the heart of the system was able to successfully determine the shape, colour, density, and edges of the Escherichia coli (E. coli) and the bacteria that causes cholera.